Have a houseful of family coming over for Easter this weekend? No get together would be complete without some sweet treats to keep everyone happy. Whether you want a show-stopping custom cake, or would rather keep things simple with some Hot Cross Buns there is something on this list for everyone. Yes, they have cakes. Yes, they have cupcakes. But cupCAKE also has Creme Egg Cheesecake jars and honestly, you should just get in the car and drive over there right now. 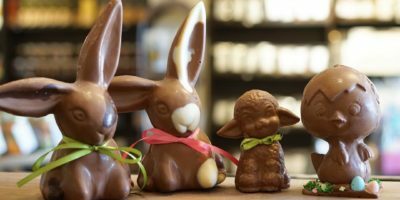 Holly’s Sweets & Eats has extended their Easter order deadline, so you still have time to get your orders in for the weekend. Holly’s has the usual cakes and sweet treats, but also breads, dips, savoury sides, scones and so much more. Dress up your Easter dinner with the cutest chocolates you’ve ever seen. J’Adore’s in-house chocolatier crafts everything they sell from scratch, in-house so you know you’re getting quality chocolate. Disclaimer: We can can not be held responsible if you buy copious amounts of chocolate and cheese, but we have been there and we understand. Gluten free, dairy free, egg free, flavour FULL. Whether you have someone coming over with food sensitivities or not, you can’t go wrong at the Vegan Pantry. Their creations are all so delicious, everyone will enjoy them. Cakes by Design whips up the cutest seasonal treats, from bunny cupcakes to cookies and everything in between. Added bonus? They offer online ordering, which will save you valuable time you can then spend with those you love most on the long weekend. Win win! Tarts, pies, cakes, danishes. Whatever you’re doing on Easter weekend, Sigrid’s has a sweet treat for every occasion. If you’re in the mood for savoury, they also make an amazing Easter Challah (egg bread) ring that is sure to impress the fam. 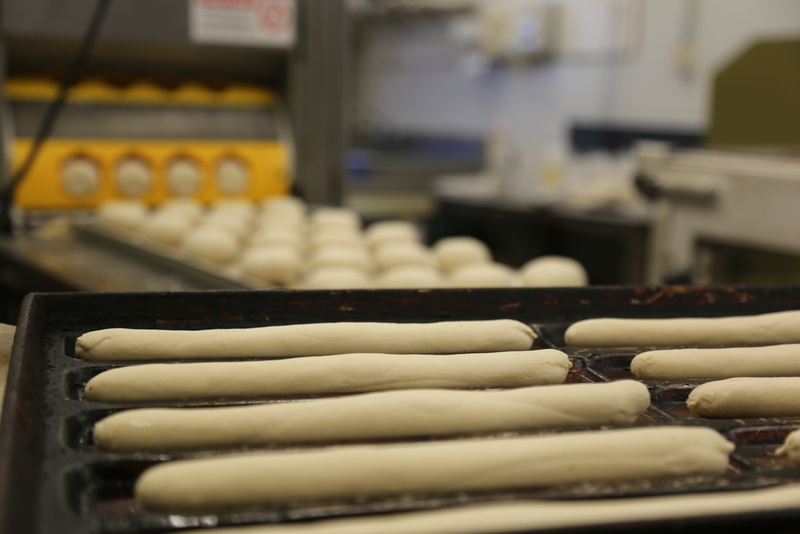 Fox’s Bakery has been Barrie’s go-to spot for baked-from-scratch goodness for over 40 years so you know you can count on them for Easter treats. We highly recommend their Hot Cross Buns, but they also have a selection of cakes, cookies and pies as well. Chelsea Chocolates in Craighurst is a family-run, locally-owned business that uses the highest quality ingredients to produce chocolate that absolutely must be tried. They often collaborate with other businesses, like Barrie Olive Oil Co, to create one-of-a-kind specialty flavours.